When in optimal condition, attic insulation helps homes in Tampa, Florida, and throughout west central Florida maintain their comfort level by keeping indoor temperatures cool during scorching summers and warm when the temperature dips. Proper insulation reduces an HVAC unit’s workload, which can lead to significant savings on an energy bill. On the other hand, poor insulation often results in high monthly energy bills. If you suspect that poor attic insulation is contributing to your rising energy costs, let Efficient Home Services of Florida help you. At EHS, we are a team of professionals specially trained to evaluate the energy use in your home. 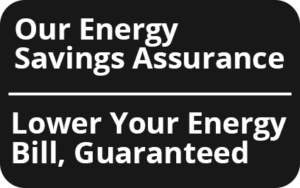 We bring decades of combined industry experience as well as an abiding commitment to energy conservation, so you can feel confident that we have the knowledge to devise solutions that will save you money on your energy bill. When you call on us, our technicians will analyze your home from top to bottom to pinpoint areas of energy inefficiency. This free evaluation includes close examination of the HVAC unit and ductwork, thermostat and vents, water heater, windows and doors, outlets, and, of course, attic insulation. Radiant barrier – Highly reflective, radiant barriers work by reducing the heat transfer from the underside of the roof to the attic, which makes this type of attic insulation very effective in hot climates like Florida’s. Blown-in cellulose – Made from recycled paper, cellulose can fill in around beams, pipes, and other objects for an airtight seal to offer attic insulation that is remarkably energy efficient. 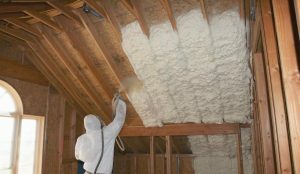 Spray foam – Because foam expands after application, it can fill holes, nooks, and crannies to create an airtight seal that prevents air infiltration, one of the biggest reasons for high energy bills. All of the types of attic insulation that EHS installs are ENERGY STAR® qualified and have a seal of approval from the American Society of Testing and Materials. 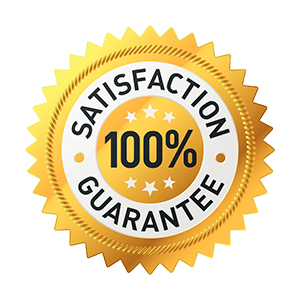 And, to give you added confidence in your investment, all insulation materials we use are covered by comprehensive manufacturers’ warranties. 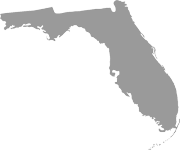 To learn more about the attic insulation and other home energy products and services that we provide to homeowners in Tampa, FL, and other west central Florida cities, contact the professionals at Efficient Home Services of Florida today. Ask about the financing options we have available that can make energy-saving home modifications more affordable than ever.